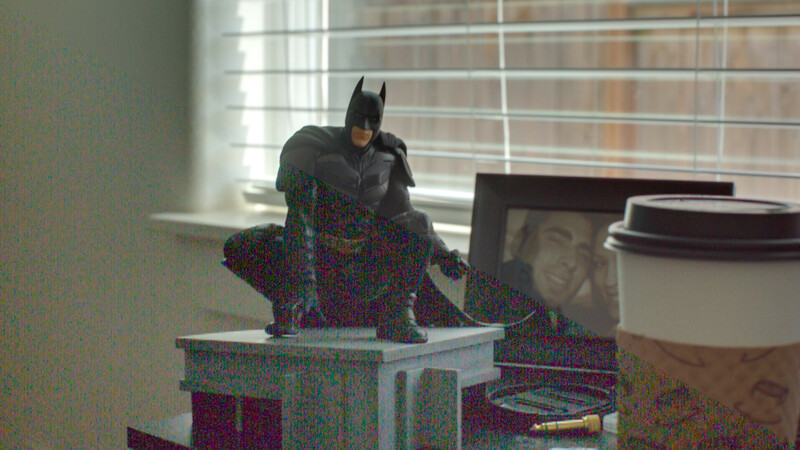 Here's a trick that samples half of the sensor at ISO 100 and the other half at ISO 1600, for example. If you mix these two, you can get almost the entire dynamic range the sensor is capable of (around 14 stops). 5D3/7D only. Now it works on most cameras! Dual ISO vs Exmor: on CanonRumors, reddit, POTN and FredMiranda. This code changes low-level sensor parameters. In the technical doc you can see how this method messes with the feedback loop for optical black, for example. Since the original implementation, many people have tried it (including timelapse), with very few side effects reported (e.g. more hot pixels than usual on long exposures). However, that's not a guarantee. We don't pay for repairs. Use it at your own risk. - Select one ISO from Canon menu, the other from Dual ISO submenu. - Expose to the right for the lower ISO (usually ISO 100). Maybe darken 1 stop from there. - Start at ISO 100/800. - Try a larger gap for really extreme situations, or a smaller gap for better midtone detail (less aliasing). - ETTR integrates with dual ISO (just enable both). It will use dual ISO only in high dynamic range scenes. Adjust the SNR limits to let the algorithm know what exactly is a "high dynamic range scene" and to fine-tune the balance between midtone/shadow noise and highlight aliasing. - Raw zebras: weak markers appear where only one of the two ISOs is overexposed (likely to get aliasing), strong markers appear where both ISOs are overexposed (there's no more detail in these areas). See here for examples. - Raw histogram will use the darker exposure. Consider the brighter one as some sort of shadow recovery. - JPEG zebras/histogram are totally unreliable. - In photo LiveView you will see the ISO from Canon menu. In movie mode, you will see horizontal lines. - Playback in 1x will show some sort of HDR preview. At certain zoom levels, you'll be able to see only one of the two exposures, at very low resolution. - Reference converter: cr2hdr.c (Windows: cr2hdr.exe). It requires dcraw and (optional) exiftool in your executable path (they are in the zip). Drag and drop the CR2 files over cr2hdr.exe. - To get a natural HDR look: try my automatic color grading script. This is actually a video frame from 5D Mark III. Here's the DNG. 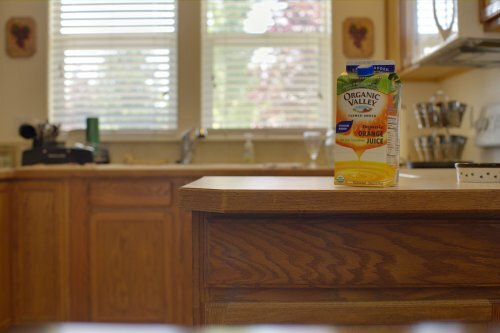 The next one is a still photo from 5D Mark III. Here's the DNG and the original CR2. ISO 100/1600. Questions? Read the pdf first. The mystery should clear up, I hope. That's it. Looking forward to your samples. a1ex - this is amazing! Super impressed. Mother of God, this is amazing! You guys never fail to impress! Wow... so clever! And so useful!! Thank you for your work on this and for the in depth technical docs. It's all very interesting but it's a shame that you can only use the trick on the 5DIII and sort of on the 7D. I guess that this research could easily lead into other interesting things, being able to control the sensor readout is a BIG thing. That's too bad it only works on the 5D Mark III. Oh well, loving the images out of my 50D. This is too crazy. Who could ever imagine. The mother of all updates, with raw video to. E x c e l l e n t! Amazing, thank you for more great features! Please, for everyones sake people, don't come in here and ask "when can we expect this for <insert canon model here>"
The 5dmkiii is a highly capable camera and with it's hardware it makes sense that many of these new developments are coming forward on this platform. I, myself, moved on from my 550d to the 5dmkiii because of the future course of Magic Lantern developments. Incredible work. The white paper was illuminating. Thank you A1ex! The way i understand it is that no further moire or aliasing is introduced in raw while recording vs stills. Awesome! Should buy myself some new cameras instead of lenses. Looks promising. Amen, just reading the PDF should answer that question. Other cameras aren't sold with the same level of hardware as the higher end cameras. Amazing, I had to read this 3 times so I can make sure what I was reading was what think it is. Holly crap. Is official, 5dIII is a mini Alexa. BTW Alex, I can't access the PDF you posted in Dropbox. It gives me an error. This just means that we all love you A1ex! Could the files be hosted elsewhere please? wow! wish i had a 5D3 and not a 5D2. Awesome work; I don't have a 5DIII, so wont' be able to enjoy the cool stuff like this, but it's definitely a sign of progress that you guys are getting deeper into how the sensors are working and what not. Random question that has to do with the sensor workings: On lower end models, would it be possible to reduce moire/anti-aliasing by modifying the sensor read outs or something similar? I know the 5DIII is typically moire/anti-aliasing free, but I'm not quite sure how or why that is. I know there's also the VAF filters available for lower end cameras, but still, with this type of manipulation I'm curious if there would be a way to reduce this common problem on lower end models. Thanks for the awesome work you guys do and any time it takes to answer my question (which might be really foolish). Although the bad side effects (low resolution moire aliasing) are serious defects. Line by line interlacing will give the opportunity to use hi ISO on the weak line depending on the WB (red for daylight, blue for tungsten) ..
Amazing Work! Thanks for your effort.